rail Installation, door and door frame repairs and installation, deck and fence repair, specialty molding installation, countertops and other wood work. 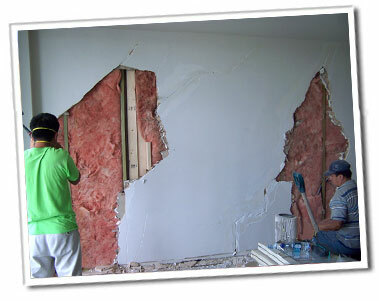 Repair, Service, kitchen and bathroom fixture replacements for both home and office as well as commercial areas. Demolishing services are also available. Transform your basement! Basements are often wide-open areas that have a lot of square footage. A complete and accessorized basement can be utilized as work out space, family room, home-theatre, kitchen, wet bar or whatever you like. 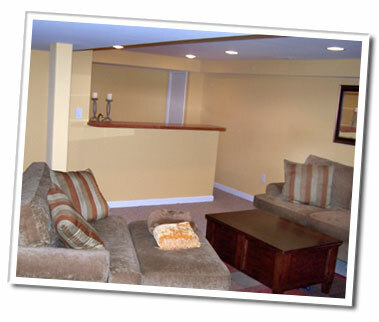 Refinishing your basement is an easy way to increase the value of your home.